The Blackhawk Gallery in Danville, CA will be showing some of my paintings. 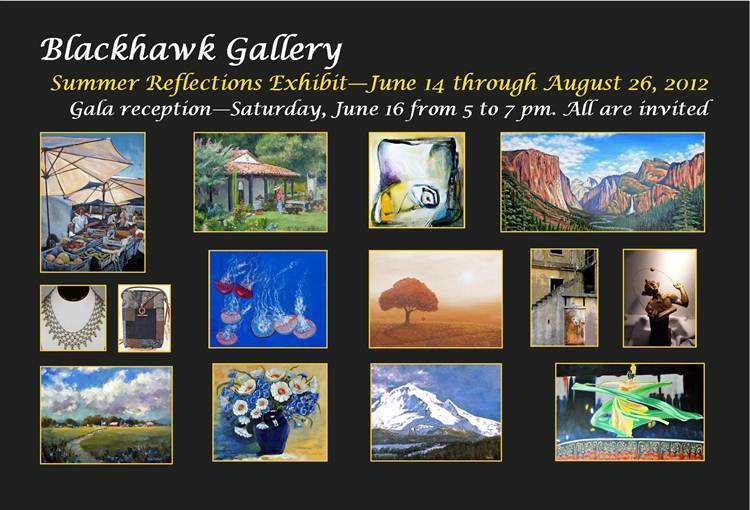 The group show “Summer Reflections” runs from June 14 through Aug.26. The gallery is open Mon – Sat 10 to 8 and Sun 11 – 6. It is located in the attractive Blackhawk Plaza at Camino Tassajara and Blackhawk Road which also features the Blackhawk Auto Museum.